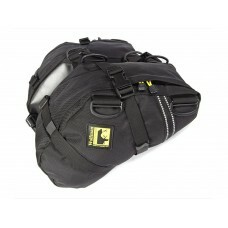 Saddle Bags are the classic way to carry your gear, and Wolfman's are among the best there is. The lower mounting keeps weight low down and within the wheel base and helps maintain a neutral feel to bike handling, even with heavier loads by keeping centre of gravity low and centred. 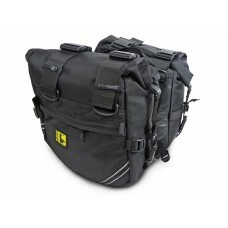 Wolfman saddle bags range in size and style from large saddle bags designed to work with side framess, to the slim Enduro and E12 Saddle Bags that don't need a rack to mount. 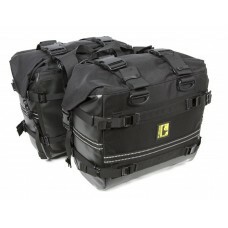 All Wolfman Panniers / Saddlebags are supplied as a pair. 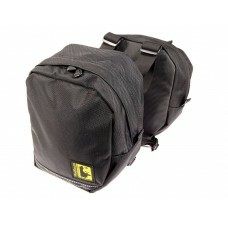 Note: Some of these saddle bags rest directly on the motorcycle, so please be careful with your bike's finish and away from hot exhausts. Wolfman Rocky Mountain Pass Saddle Bags – Totally new and improved for 2018. 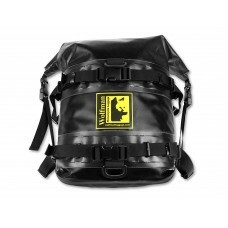 Note: All Wolfman Sa..
Wolfman Expedition Dry Saddle Bags Wolfman went all out to create their Expedition Dry Saddlebags..
Wolfman E-12 Enduro / Supermoto Saddle Bags (V17) The Wolfman E-12 Enduro / Supermoto Saddlebags ..
Wolfman Enduro Dry Saddle Bags (V17) These Wolfman Enduro Dry Panniers / Saddle Bags have been re..
Wolfman Tank Panniers The Wolfman Tank Panniers are another long time classic Wolfman design, whi..